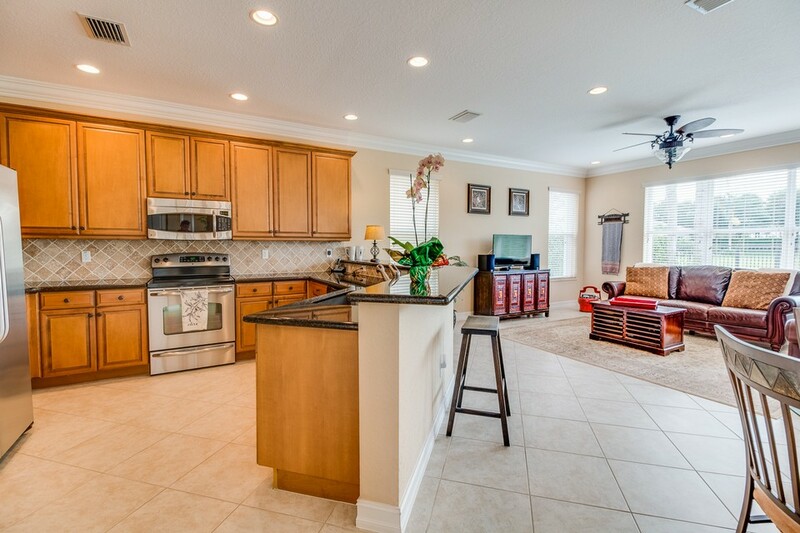 Scroll down for additional photos. 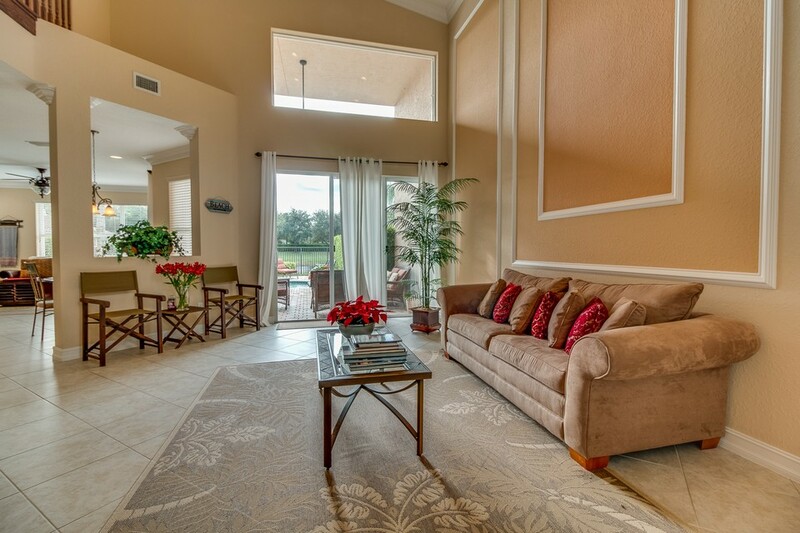 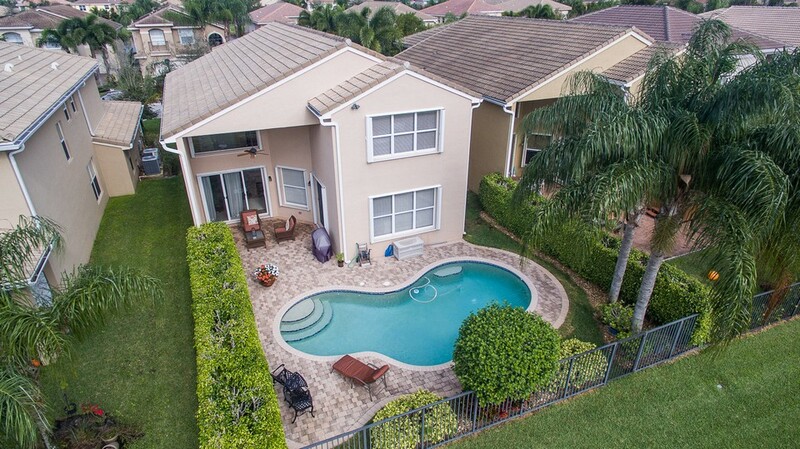 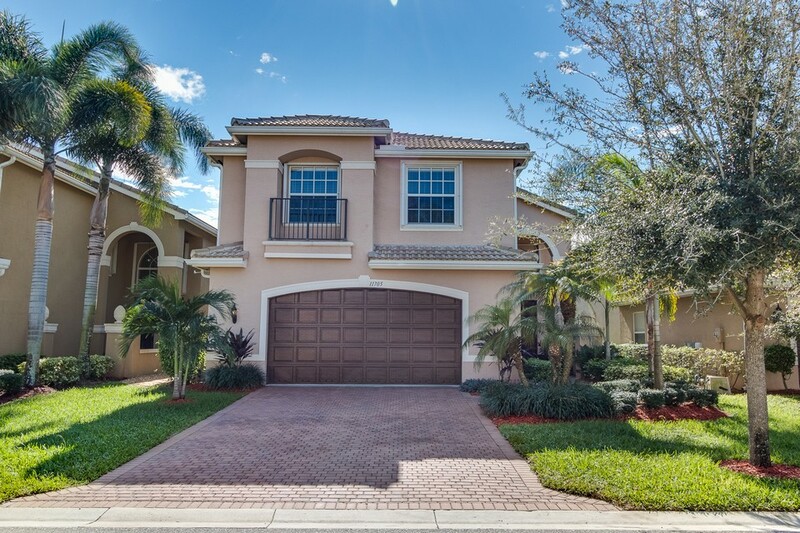 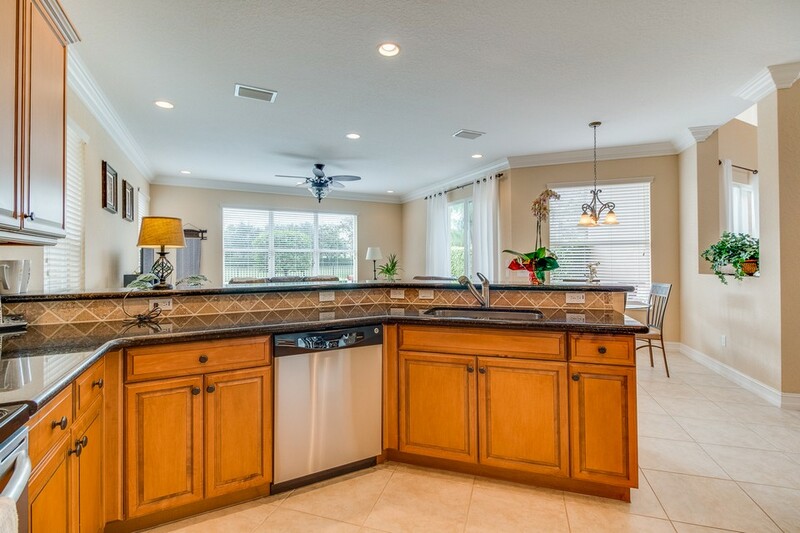 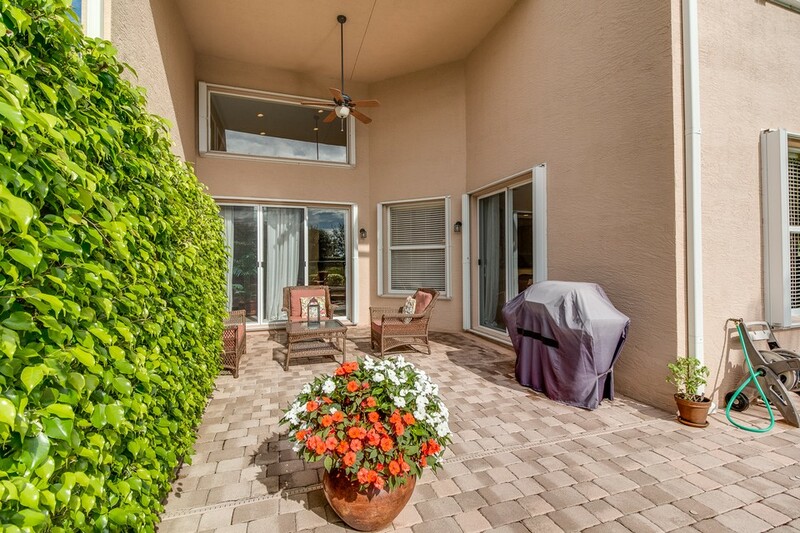 Amazing 4 bedroom pool home on water in Canyon Springs. 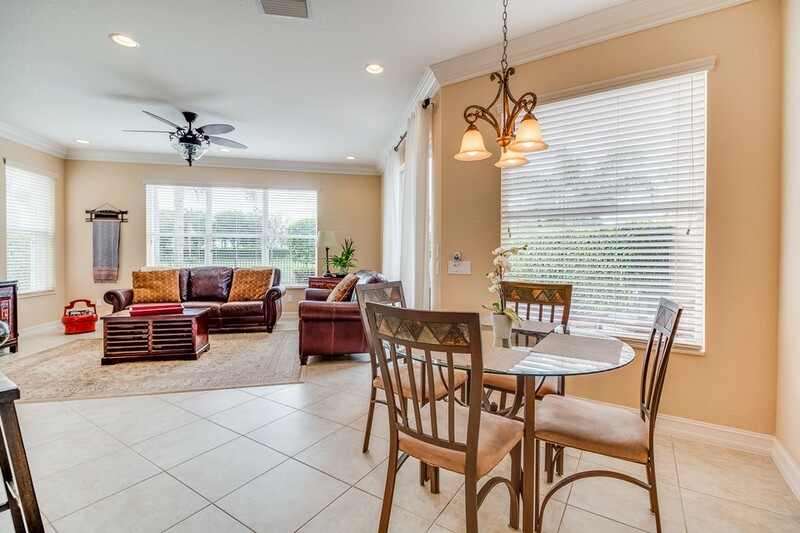 This meticulously maintained home in move in condition includes accordion shutters around the whole house. 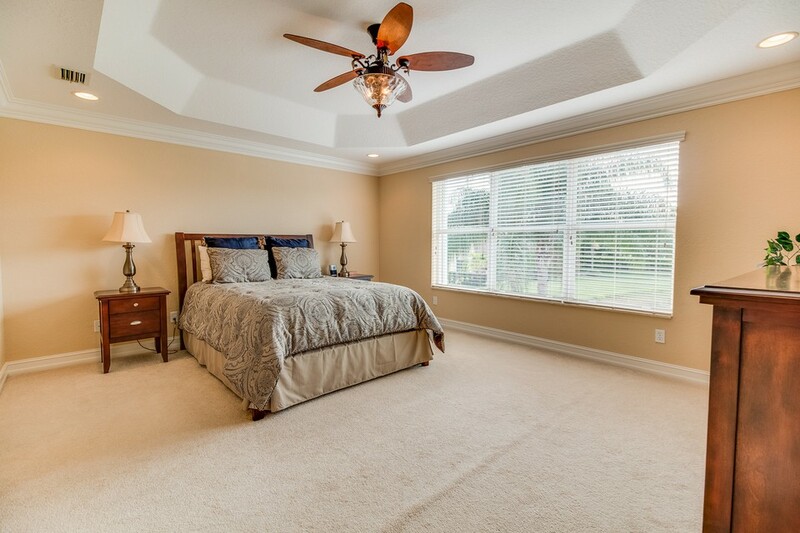 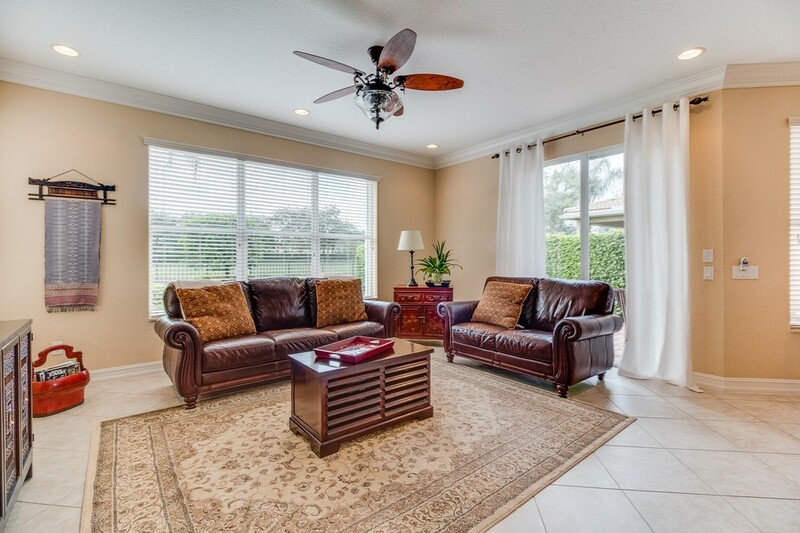 You will be impressed by the soaring ceilings & open floorplan. 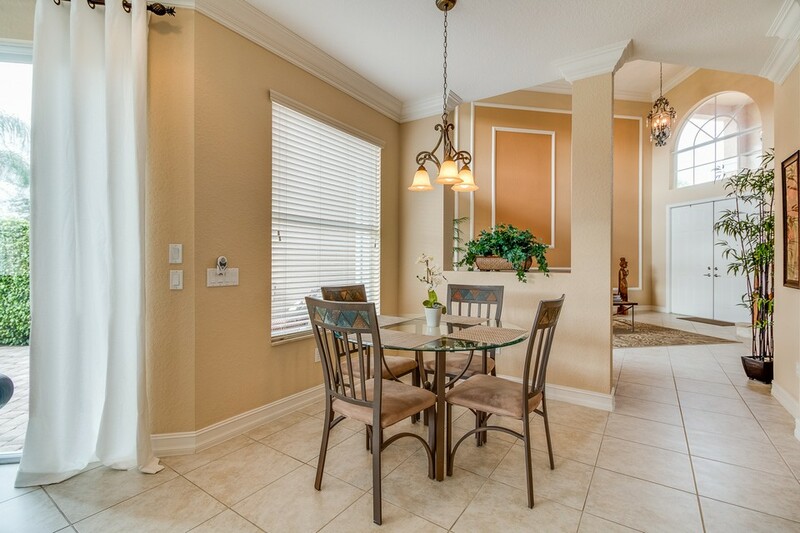 There's crown molding throughout the 1st & 2nd floor & the living room has custom decorative moldings. 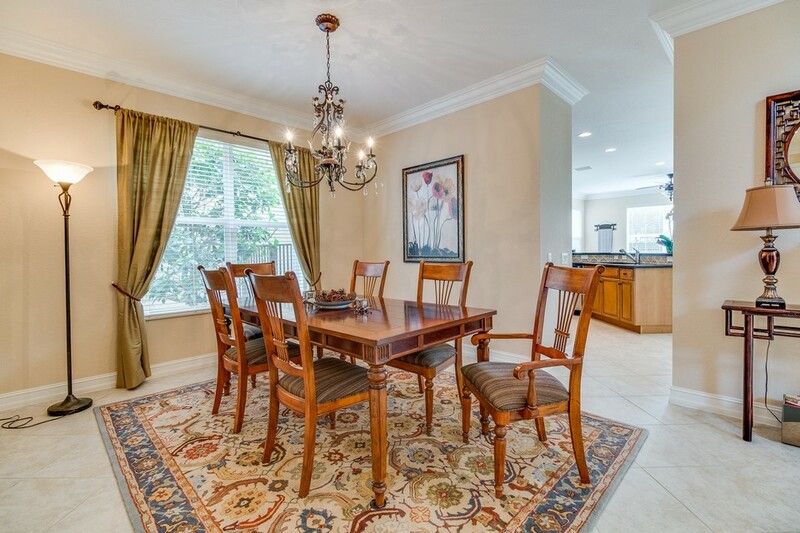 The large dining room includes a Butler's Pantry with granite counters & wood cabinets. 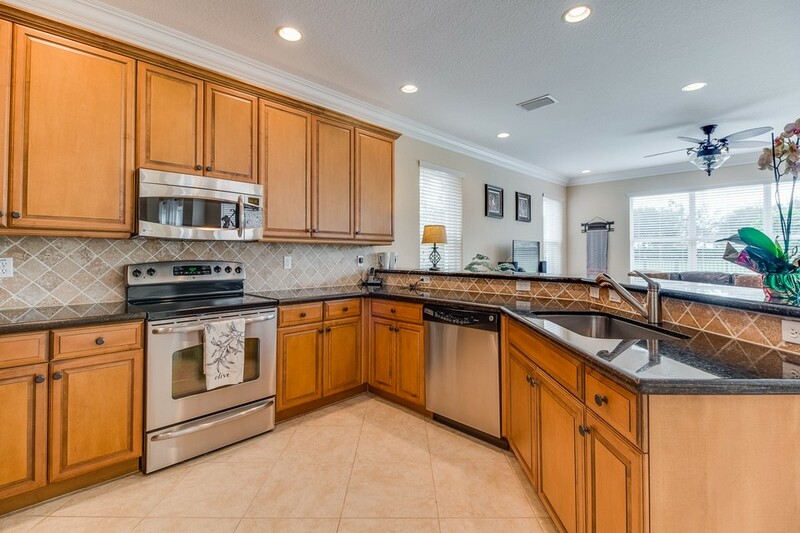 The gorgeous kitchen includes granite counters with tile backsplash, stainless steel appliances & upgraded wood cabinets with crown molding & undercabinet lighting. 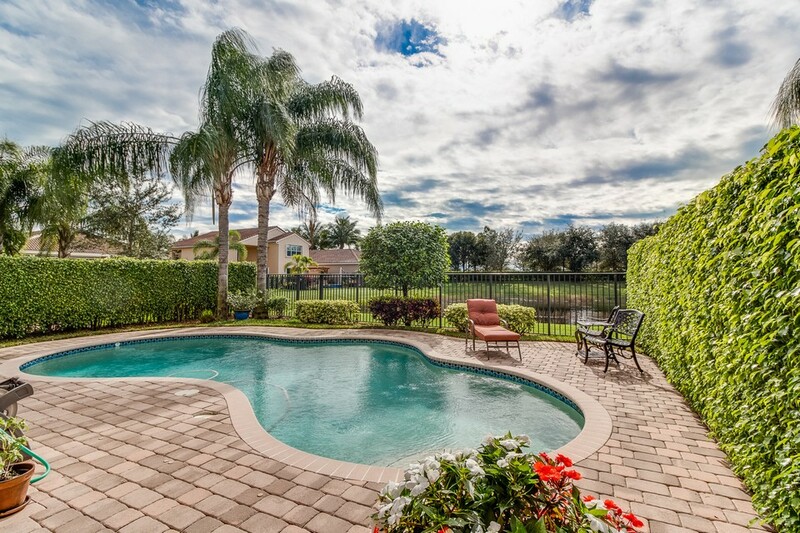 Out back is paradise. 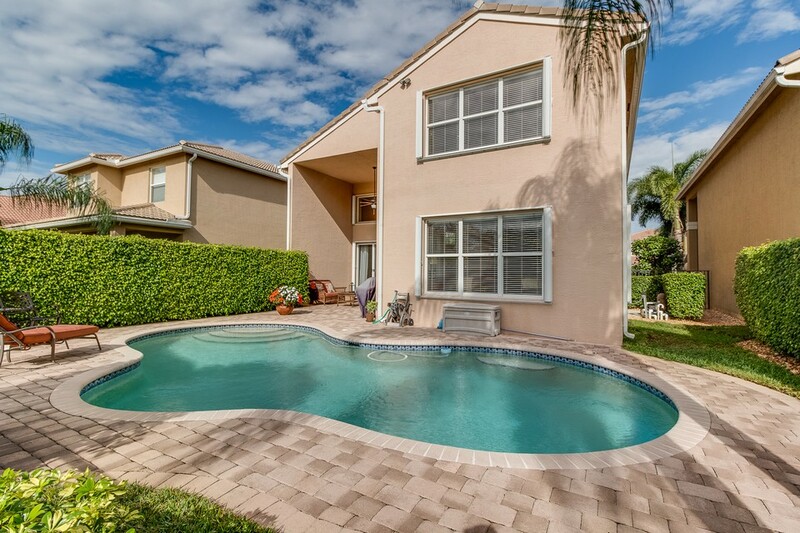 With southern exposure your custom pool with incredible lake views will allow you to bask in the sun all day. 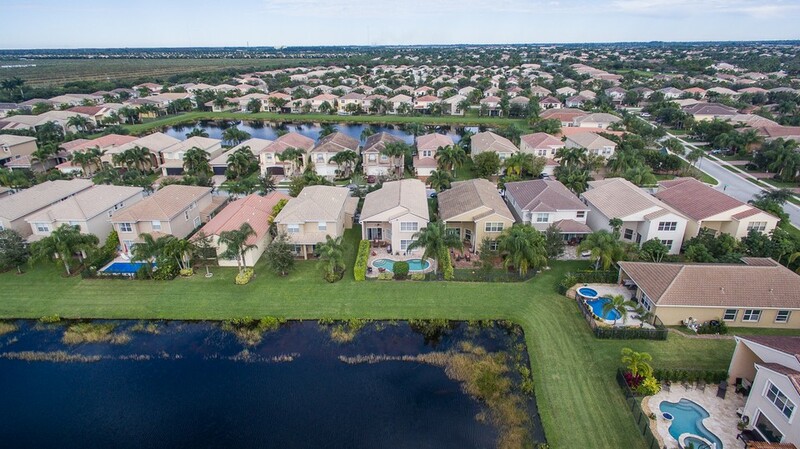 With no rear neighbors & privacy hedging you will have your own backyard paradise! 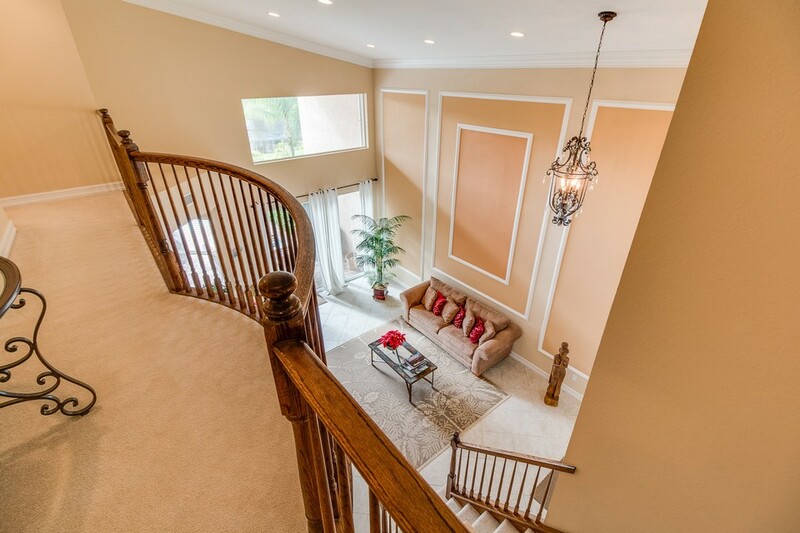 Heading upstairs you will notice the upgraded wood stair rail & lush carpet with extra padding. 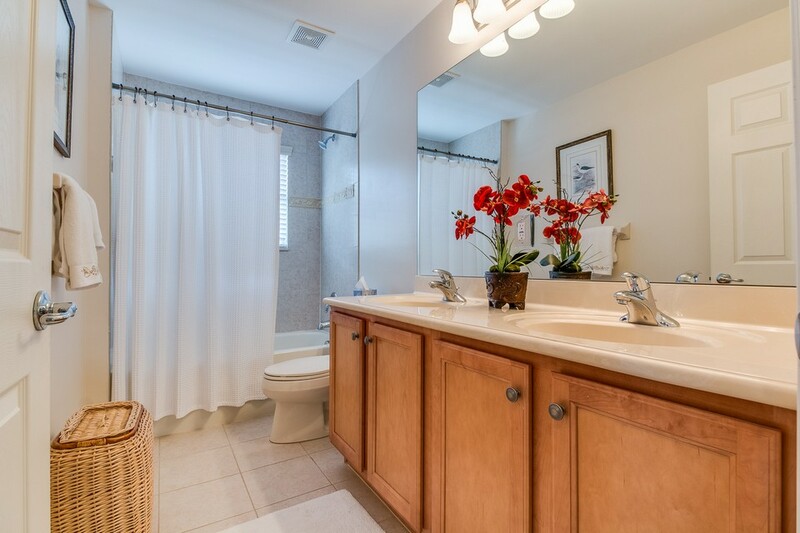 All 3 guest rooms are large & the guest bath includes wood cabinets & upgraded tile on the floors & walls. 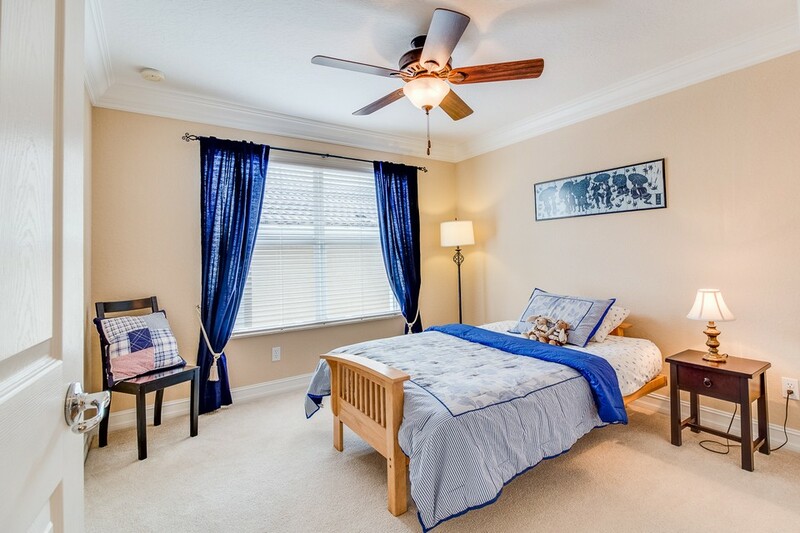 The master retreat is fantastic & includes 2 large walk-in closets & a luxurious master bath with separate vanities, maple cabinets & a roman soaking tub. 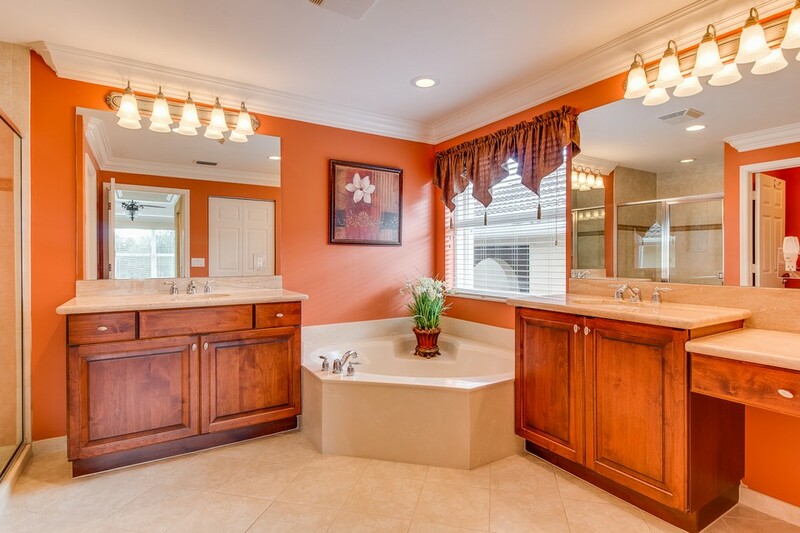 Just bring your toothbrush & move in to this spectacular home. 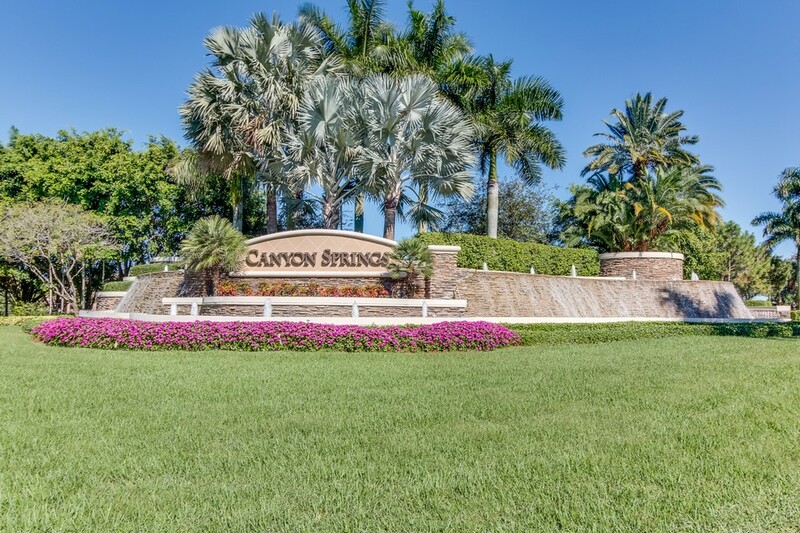 Canyon Springs is an amazing gated community with a fantastic clubhouse & all within walking distance to great schools & shopping.